James Vincent is a music educator, audio engineer, entrepreneur, composer and performer for over 20 years. Recently he founded the Music School, Vincent Music in the heart of West End. He is also the Director and Founder of Home Piano Teacher (Est. 2013) providing quality piano teaching in homes for over 100 students around Brisbane and employs 12 teachers. Previously he was Head of the Piano Department and Board Member at Browning Street Studios where he established the Instrumental Teaching Training and Intern program where he works as a coordinator, writes curriculum in piano pedagogy and teaches and supervises as a mentor practical piano teaching methods. The program has now moved to Vincent Music. 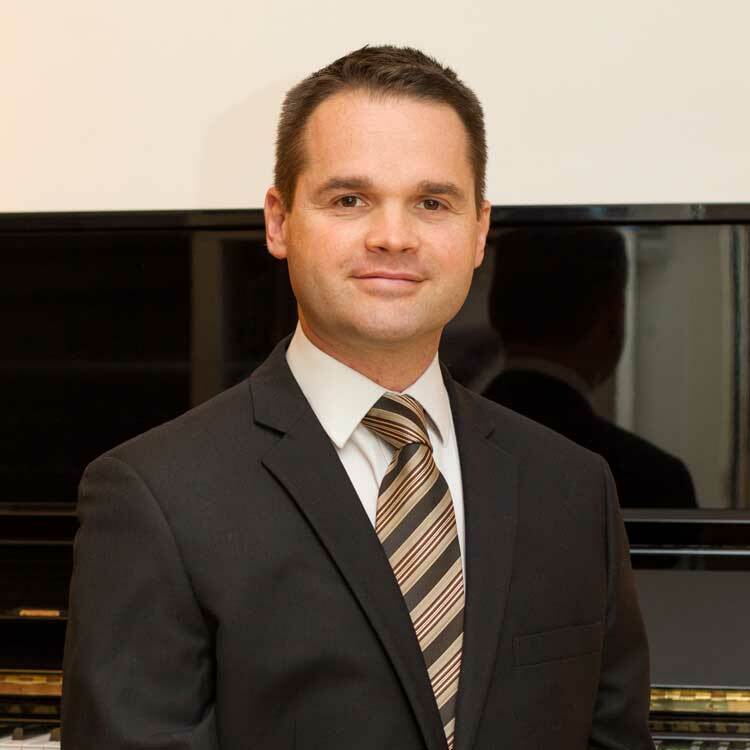 James completed his Bachelor of Arts (Music) majoring in classical piano in 1996 and double majoring in French Horn. He is also a professional member of The Music Teachers’ Association of Queensland and the Accompanists’ Guild of Queensland. James has over 10 years experience in sound for video games including composing, sound design, dialogue production and foley recording. As a full time audio engineer for both Sega Studios Australia and The Creative Assembly he has honed his production and mixing skills under the audio direction of internationally acclaimed and BAFTA winner, Jeff Van Dyck. He is known for his work on Impossible Odds for recording, mixing and engineering on their Q Song award winning track “ Soul of a Troubadour” in 2010.